To recap: we flew in to Milan, stayed a night, then took the train down to Vernazza (in Cinque Terre) for Trevor and Heather’s wedding. Stayed there a few nights, then headed along the coast with T. and H. (again by train) to Monte Carlo (which was actually quite a let-down.) Stayed there two nights/one day, then up to Torino. From there, Trevor and Heather went their own way, and Julie and I rented a car, and played around in the mountains for a week. We had no set itinerary, but we ended up hanging out in the national park (Gran Paradiso) for a couple nights, and crossed over into Switzerland, where we stayed in Zermatt. From there, we drove all the way across Italy (although, driving “all the way across” west-to-east is a lot less significant than north-to-south) to Venice, where we met up again with Treather for one more night (and dropped off the car.) Right, got all that? And then, of course, you can just cheat, which is kind of what I did here. Nowadays, there’s lots of software tools that you can use to touch up photos. (Maybe you’ve heard of them? Nah, probably not..) So, assuming your picture doesn’t have too many areas that are either so bright or so dark that you end up losing data (once something is bright enough such that the values for the data point are maxed out, if something right next to it is slightly brighter, you won’t be able to tell the difference, and thus the data is lost), you can use software to lighten or darken certain areas of the picture. I didn’t do that a LOT in this picture (because I’m too cheap to buy Photoshop), but I’d be lying if I said I didn’t play around with it a little bit. Notes: Canon EOS Rebel XT, Tamron 28-300 mm lens. 1/250s, f/6.3, ISO 200. Focal length: 30mm. This picture would make a nice desktop background. Uncle and I would love to have this hanging on our wall. Can you print in a specific size or get to us so we can print and have framed? 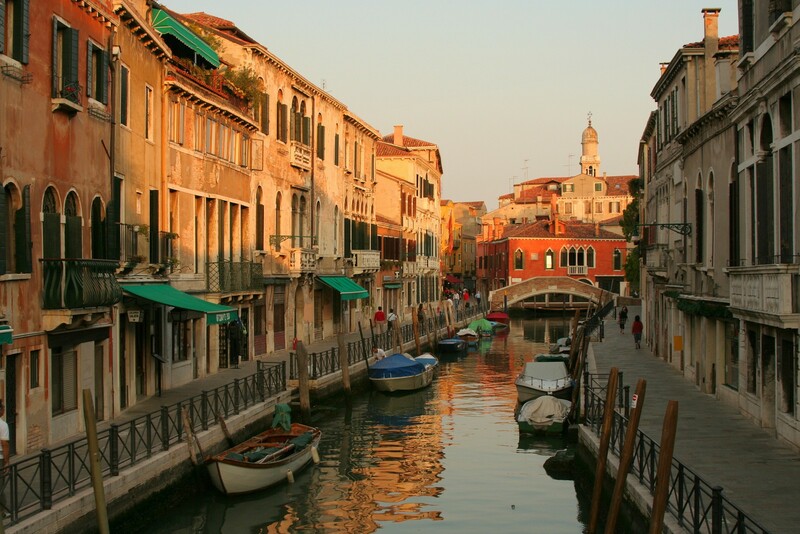 We also love all of the Italy photos with the water and boats. Great photos!! !